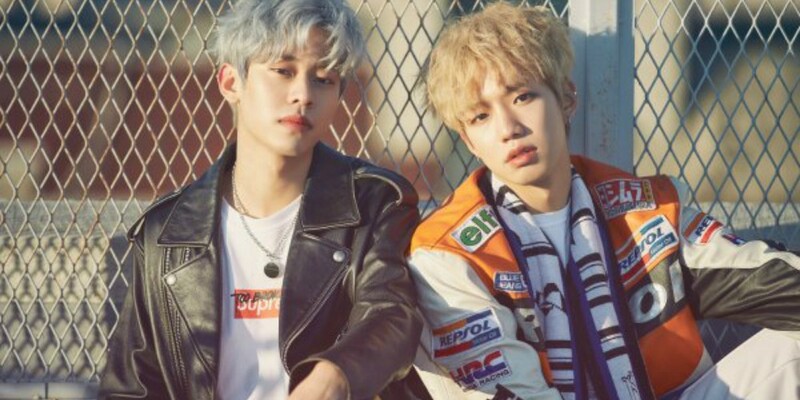 Brand New Music's MXM recently named their role models during an exclusive interview. Rising to fame after starring in Mnet's 'Produce 101' season 2, the idol duo expressed their love towards hip-hop music. Lim Young Min mentioned, "We watched a lot of performances by GD&TOP (G-Dragon and T.O.P)�sunbaenims. Their gestures and expressions were so cool. And I wished to become like them." Kim Dong Hyun added, "VIXX LR sunbaenims. I liked how their dance choreography, expressions, and gazes become synchronized with the music. I want to perform as a duo like them." Speaking of hip-hop, Lim Young Min also said, "I like Block B sunbaenims. Not only is their music great, but all the members have distinct colors. Likewise, I think MXM would make a good team incorporating my hip-hop taste with Dong Hyun's acoustic vibe."